Please note: We have a reservation for 20 people and weather and space allowing, we will be on the rooftop terrace! We started our journey in this Mentorship Program in September 2016 and started the first mentorship relationships in January 2017. To celebrate our progress, and to reunite some of our members, we will be holding a Reunion Reception in London. This will be an opportunity to reconnect with your past mentors and mentees if you have not kept in touch, or to hear from the experiences of others. Please do feel free to bring friends that have yet to be involved in the program and want to hear from us. RSVP here only if you can make it so that we can manage space and minimum spend! 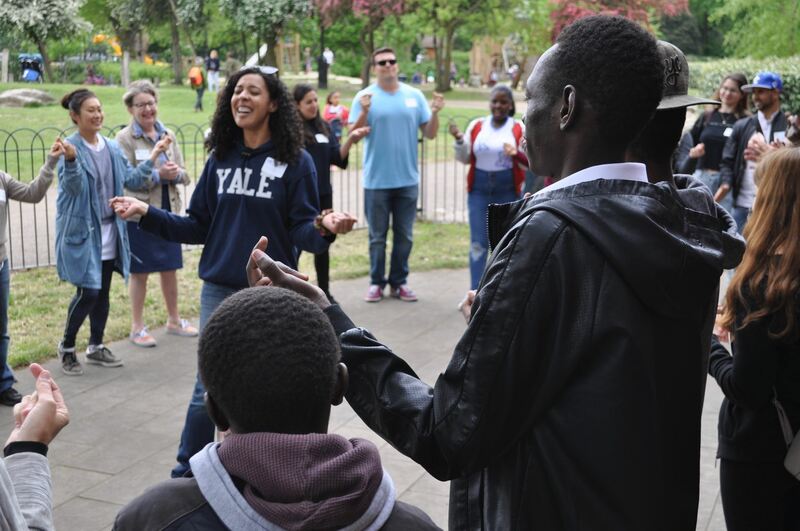 Yale Club London continues its relationship with the Children's Section of the Refugee Council with a day of outdoor fun and games, indoor storytelling, visual arts and music at The Hub in Victoria Park, East London. There will be plenty of opportunity for people to help with food preparation, support the music and arts activities, lead games and connect one-to-one with each other, the young people and the staff of the Refugee Council. If you play an instrument - and it's portable - please let us know. If you are unable to join us on the day, please consider donating via the YCL website to cover the cost of transportation for the young people and Refugee Council chaperones for the day, picnic lunch and venue hire. Please mark your donation DOS2019. Thank you. Please note: There will be official YCL appointed photographer(s) on the day. If you do not want to be photographed, please notify Kamilla or Margaret. For safeguarding purposes, we ask that everyone refrain from taking and/or posting any personal photographs on the day. Please note: Joe will send information on how to join the call the morning of the call. You must register to receive the email. Join us for our monthly catch-up calls -- a quick and easy way to find out what the Club is doing, make a suggestion, or just listen in. All members are very welcome to join! Click here to register. Please note: you must register to receive dial-in information for the call. Join us for our monthly catch-up calls -- a quick and easy way to find out what the Club is doing, make a suggestion, or just listen in. All members are very welcome to join! Click here to register. Please note: you must register to receive dial-in information for the call. This is a family-friendly event with plenty of opportunity to 'get your hands dirty' and learn and explore. We'll be outdoors, so come prepared for the English spring with everything from sun hats to wellies. 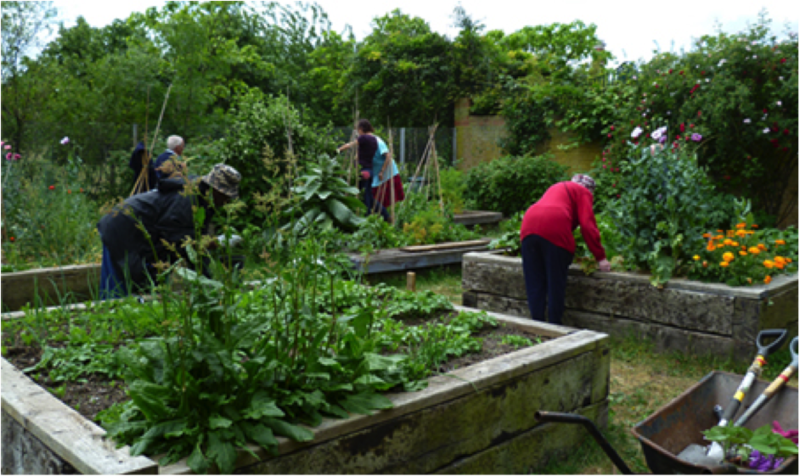 Come along to a large community garden that is registered as a Permaculture LAND project just off the Old Kent Road. *and have lots of fun. If you are unable to join us on the day, please consider donating via the YCL website. Please mark your donation DOS2019. Thank you. Please note: Photos and other forms of recording may be taken at the event and used by the YCL and Permablitz websites from time to time. Rest assured that as this is a family-friendly event, no photos children or young people will be taken or published via social media. Also, both Kamilla and Margaret are DBS registered and Margaret has had full safe-guarding training. Please note: You must register for the meeting to be on the access list for the building.If you would like to join by phone or Skype, you still must register as Joe will send information on how to join the call the morning of the call. You must register to receive the email. Join us for our quarterly meeting -- a quick and easy way to find out what the Club is doing, make a suggestion, or just listen in. All members are very welcome to join! Click here to register. Please note: you must register to receive access to the building or dial-in information for the call. Please note: You must register for the meeting to be on the access list for the building. If you would like to join by phone or Skype, you still must register as Joe will send information on how to dial-in the morning of the call.You must register to receive the email. Join us for our AGM. All members are very welcome to join! 17 Jan 2019 Roundtable: Why are some democracies so violent, and can they be made safe? 19 Dec 2018 A Hollywood Christmas at the Royal Albert Hall - meet conductor John Mauceri afterwards! 17 May 2018 Speaker Series: Ian Shapiro: "Democratic Competition: The Good, The Bad and The Ugly"
23 Feb 2018 Feb Club Emeritus: London! 10 Nov 2017 Young Alums: Escape the Room! 24 Feb 2017 Feb Club Emeritus : Mardi Gras! 19 Nov 2016 THE Game - Boola Boola! 10 May 2016 Speaker Series: Professor William Goetzmann: "Money Changes Everything: How Finance Made Civilisation Possible"
30 Apr 2016 Country Walk: It's Back! 25 Feb 2016 Feb Club Emeritus : Yale-aoke Strikes Back! 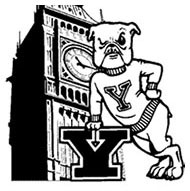 28 Apr 2015 YIA: Marvin Rees speaks on "Meaningful Leadership"
21 Apr 2015 YIA: Dr. Cristina Cruz González speaks on "Transcultural Journeys"
13 Jan 2015 Book Talk: Benedikt Koehler ('76) on "Early Islam and the Birth of Capitalism"
26 Nov 2014 Speaker Series: Ravi Dhar -- "Consumer Insights and Advances from Behavioural Economics"
18 Nov 2014 Speaker Series: Jim Chanos -- "China: The Bear Turns Five"
05 Nov 2014 Speaker Series: Benjamin Zucker -- "Father Yale: from Boston, to London, to Madras"
11 May 2014 Yale-Columbia Bowling! 10 Dec 2013 Yale History Professor Jay Gitlin speaks at UCL on "The Transcolonial Bourgeois Frontier"
26 Oct 2013 The 11th Annual UK Texas Exes Halloween Party! 27 Jun 2013 Director's Roundtable: "Strategies for Confronting the Global Enforcement Reach of U.S. and U.K. Authorities"
14 Apr 2013 Yale in NCAA Hockey FINAL - First time in 50 years!! 06 Feb 2013 Cold, Dark & Rainy... Must be time for FEB CLUB! 07 Jun 2011 UK/US Tax Planning Seminar - "here for the long haul"